Great job to the Band students and Mr. Myers on the 2017 Holiday Band Concert. The students all showed their eagerness to share the holiday songs with the crowd. Songs such as Jingle Bells, Sleigh Bells and other holiday classics were enjoyed by members in the crowd. Please enjoy the short video. The first piece is being played by the fifth grade band members. This is the first year that students take take band and learn an instrument at Waterford. 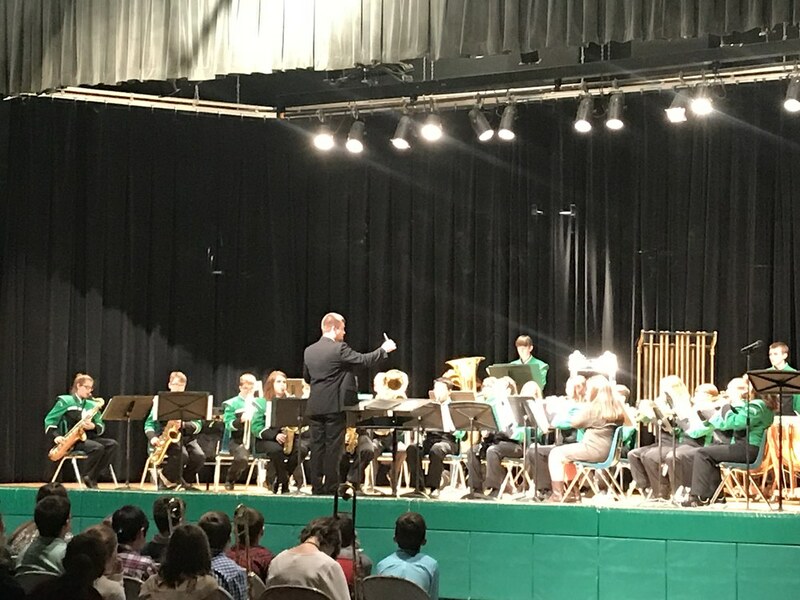 The second piece is being played by the Middle School band. These are students that are in grades 6-8. Many of these students are in their first year of playing an instrument. The final two pieces are played by the High School Concert band. They are sporting their band uniforms. Again, we would like to thank the parents and the community for their support. A shout out goes to Mr. Chase Myers on his first band concert as the High School Band Director.